Ellie and I have been watching the trees in the front yard every day for signs of spring. I'm just dying for those pink flowers to blossom! Ellie has been helping the process along, she brings out her spray bottle every day to water the tiny buds. Oh spring, I forgot how much I love you! 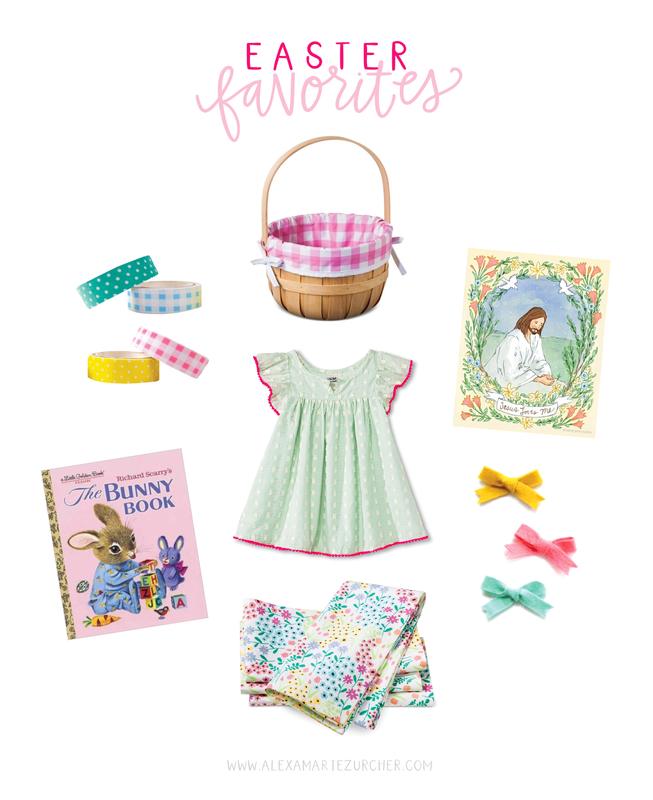 Today, I've rounded up a few of our Easter favorites! For Easter baskets, we only do a few items - a few treats and maybe some bubbles, a book, or chalk. (Though this year, I couldn't resist and got the girls matching Easter dresses, too!) I love these fabric lined baskets from Target (Ellie's been carrying around hers for a week now!) and that bunny book is a childhood favorite! I've also been eyeing that art print for awhile now, it's a perfect reminder of the season. You can find the links to all the products below. Also, see previous Easter's here, here, and here! is that the easter dress you bought your girls??? Yesterday I bought that exact dress for Kam's easter dress, & Alex made me promise I wouldn't put it on her until easter, it is sooo cute!! Thanks so much for sharing our Bumbelou Bows! !